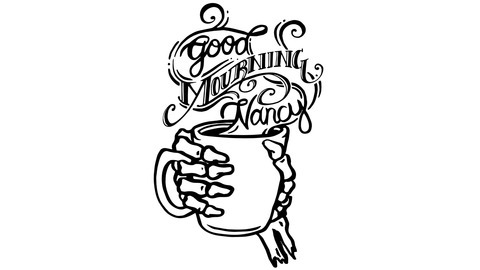 It’s time to wake up from your nightmares and listen to Good Mourning, Nancy! Hosted by Gracie & Abbey, long-time friends and horror nerds, this podcast about their favorite scary movies will lift your spirits and give you the strength to join the living for the rest of the day! Be afraid! Be very afraid! You probably didn’t know that that famous line came from this film! Well, it does! This week your favorite ghouls discuss David Cronenberg’s most successful film, The Fly! Topics of discussion include but are not limited to: abortion, literal and metaphorical aging in relationships, disease, toxic masculinity and cis male puberty! 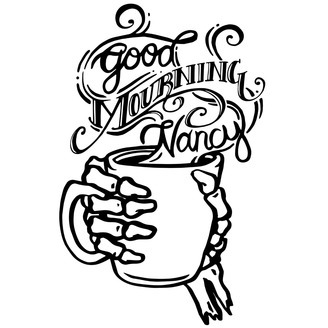 Thanks to Lily LeBlanc for our theme song: www.lilythecomposer.com Buy some sweet coffee from our sponsors: www.recesscoffee.com The Fly (1986) Resources: Vincent Price Part 1: https://soundcloud.com/goodmourningnancy/vincent-price-his-life-and-his-films-part-1 Vincent Price Part 2: https://soundcloud.com/goodmourningnancy/vincent-price-his-life-and-his-films-part-2 Beyond the Veil of the Flesh: David Cronenberg’s THE FLY (1986) by Matt Zoller Seitz https://www.indiewire.com/2012/12/beyond-the-veil-of-the-flesh-david-cronenbergs-the-fly-1986-232951/ The Beetle and the Fly by David Cronenberg https://www.theparisreview.org/blog/2014/01/17/the-beetle-and-the-fly/ Mutations and Metamorphoses: Body Horror is Biological Horror by Ronald Allan Lopez Cruz https://www.researchgate.net/publication/235990959_Mutations_and_Metamorphoses_Body_Horror_is_Biological_Horror `THE FLY` EVOLVES INTO MORE THAN A HORROR STORY by Dave Kehr https://www.chicagotribune.com/news/ct-xpm-1986-08-15-8603010075-story.html “Disease with a Purpose”: Ex-Boyfriends, Abortion and The Fly (1986) by Sarah Cook https://brightlightsfilm.com/disease-with-a-purpose-ex-boyfriends-abortion-and-the-fly-1986/#.XDVzXhNKjfY Abortion and “The Fly” https://abortiongang.wordpress.com/2011/09/02/abortion-and-the-fly/ 33 Things We Learned From David Cronenberg’s ‘The Fly’ Commentary https://filmschoolrejects.com/33-things-we-learned-from-david-cronenbergs-the-fly-commentary-ae5eb41f61de/ The Fly (1986 film) https://en.wikipedia.org/wiki/The_Fly_(1986_film) Riches, Simon, et al. The Philosophy of David Cronenberg. U.P. of Kentucky, 2012. What Happens to Brundle? : Problems of Teleportation and Personal Identity in The Fly By Paul F. Snowdon in The Philosophy of David Cronenberg. “The Fly (1986): ‘I Am an Insect Who Dreamt He Was a Man.’” The Artist as Monster: The Cinema of David Cronenberg, by WILLIAM BEARD, University of Toronto Press, Toronto; Buffalo; London, 2006, pp. 198–233. JSTOR, www.jstor.org/stable/10.3138/j.ctt1mkbdc3.13. Ep. 43: FRANKENHOOKER (1990) - Wanna Date?